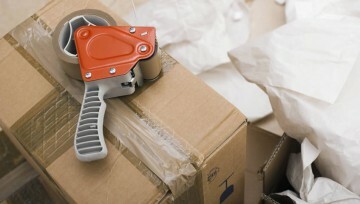 CAMBRIDGE REMOVALS AND STORAGE AIM TO ENSURE THAT YOUR MOVE GOES SMOOTHLY FROM START TO FINISH. THAT’S WHY WE PROVIE YOU WITH OUR MAIN MOVING TIPS TO HELP YOU ALONG THE WAY. Our expert checklists supply you with professional tips and advice for all types of moves, varying from international to business relocation. We have provided you with three comprehensive and helpful moving checklists below, covering all aspects of your move. Finalise all bills and cancel any subscriptions or home deliveries. Cover your change of address with banks, doctors, dentists, schools etc. Arrange a change of GP, dentist and other important facilities in your new area. Organise any parking arrangements prior to your move. The total volume of the household items included in your move. The travel time and mileage between your current and new property. The access and parking at both properties. If you would like our removal team to pack your contents. Any items that will require professional protection or packing. During the home survey it is essential to inform the surveyor of all household items to be moved including those items in the shed, loft and garage. The surveyor will discuss a schedule for your moving day in full after looking into factors such as the travel time and mileage between your current and new address and the ease of access and parking at both addresses. They will discuss the packing preferences for the move and following this, a quotation for your removal will be created. You should inform the surveyor of any building alterations that may be an issue when moving larger items from and to each residence. If you choose to have an owner packed move, we advise that you organize and begin packing in good time before the moving date. We are able to supply packing materials, however you should arrange this with us two-three weeks before the removal date. Packing your goods often takes longer than expected, so please be sure to plan ahead of the actual moving day. You should make note of the contents on each box you pack along with which room the items are located in. This will ensure that you can keep track of which items you have packed and will make it easier to locate these items once you have moved into your new property. Keep important documents such as passports and driving licenses to hand and be sure that you do not leave them in our care. Valuable items such as jewellery and money are specifically excluded from transit insurance cover. Be sure to personally carry items such as money on the day of the move. Do not over pack cartons and make them too heavy. Keep young children’s favorite toys easily accessible to avoid any extra stress on the moving day. Special book cartons for a large quantity of books can be supplied if required. Please note that if it has been agreed that you will pack all household contents yourself, and this has not been completed on your moving date, any delays as a result of this are subject to a delay charge. You should inform us as soon as your completion date has been confirmed so that we can confirm and settle the moving day schedule. All parties should then be made aware of your moving date, including any doctors, schools, dentists and other important facilities. It is important to make the Post Office aware of your new residence 7 days prior to your move so that all mail is sent to the correct address, and any outstanding bills or subscriptions should be paid off. You should arrange to have both gas and electricity meters read on the day of your move, and ensure that they are shut off at the mains before you vacate. We will do all that we can to make sure that your vehicle and crew arrive at the loading and delivery address at the agreed time, however please consider that they are subject to traffic delays. All of our drivers are supplied with mobile phones and have been instructed to notify clients of any potential delays if they arise. From our generation of experience we have devised a free moving guide to assist you before, during and after your move. Download, print and keep this moving guide.